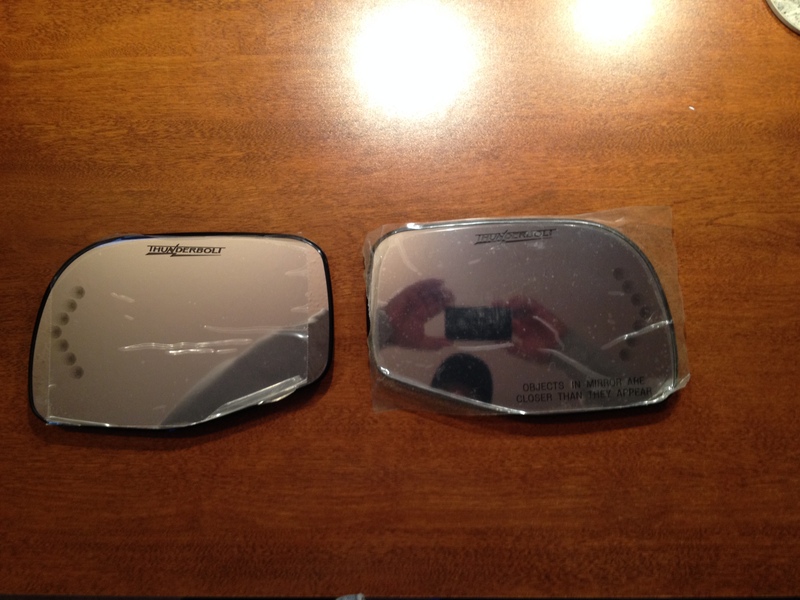 Yeah, I spent the money for a pair of Thunderbolt mirrors. The mirrors themselves were cheap enough, but the shipping was more than the product. So after lying to myself that I would NEVER spend that much to ship two pieces of glass, here they are. Next warm weekend and these puppies are gonna get installed! What did they rack you? How ya gonna make the >'s work? Well, it was really nice for January here in Southern Indiana... 65 degrees. 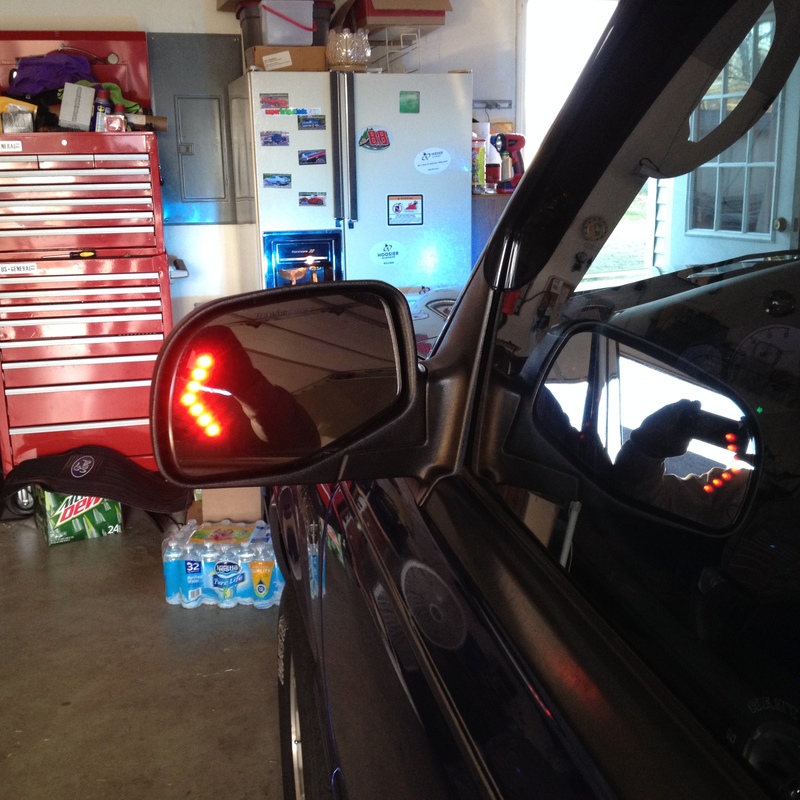 So I took this opportunity to install my new Thunderbolt mirrors. Nice I have a set on my ranger and my Explorer they are good units.